As part of an ongoing study of ecology and sustainability, CELC Middle School students have launched a project with Food Rescue US. CELC students work with local organizations in food service-oriented businesses, such as restaurants and retail stores, to re-purpose food that is “too good to be wasted” but that would otherwise be thrown away. CELC not only partners these organizations with senior centers, local community dining rooms, and other groups who can put the food to good use; but also delivers the food directly to these locations. 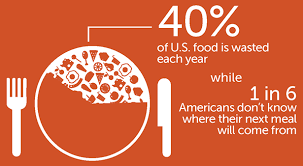 There is more food that is wasted in the United States than most people even realize. Food Rescue US makes it possible for food to be brought to where it is needed, as well as alter the amount of food that is thrown away. Please join CELC and Food Rescue US New Haven for a reception / informational meeting Sunday, 4 March 2018 1:00 p.m. – 2:00 p.m. to bring awareness about this exciting program and introduce the people who want to volunteer with helping deliver food, while working with the partnering organizations. 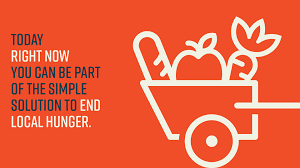 Food Rescue US makes it very easy for volunteers to make a large impact in helping solve the problem of food insecurity that is linked to lack of access. Please contact Melinda or Maria for more information mandm@CTExperiential.org or 203.433.4658.